Starting with the dry ingredients, sift the flour into a mixing bowl. Add the rest of the dry ingredients and mix well. Place the wet ingredients in a saucepan and heat up on medium just until the Earth Balance is melted and it comes together. Using a tablespoon, drop the dough into the pan. Bake for 12 to 13 minutes. 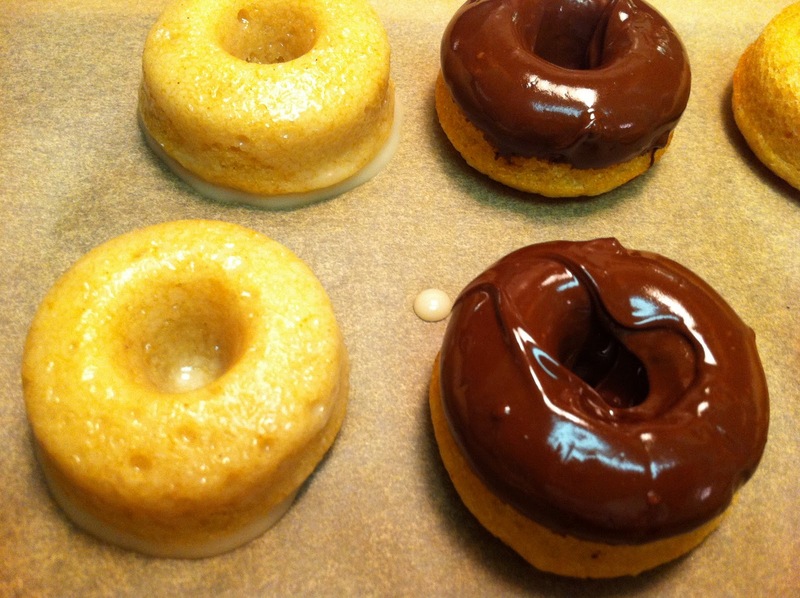 Turn out the doughnuts onto a cookie sheet or cooling rack. Let them cool completely before topping with glaze and chocolate. For the glaze, sift the powdered sugar into a mixing bowl. Add water and agave and whisk together. Top the doughnuts and enjoy!